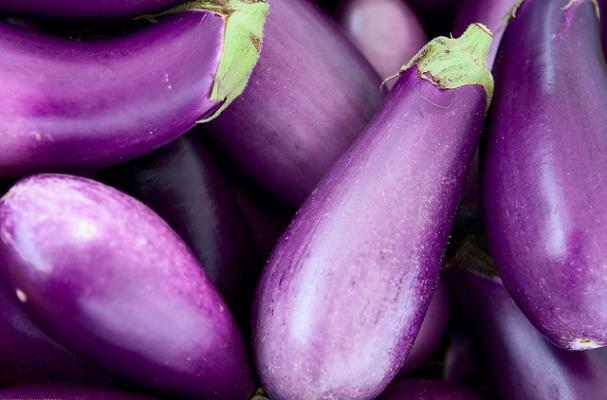 Get excited - eggplant season is coming to a produce section near you! Technically classified as a berry (who knew!) eggplant (or aubergine) are native to Eastern Asia but are fortunately available across the globe. A member of the nightshade family, this big berry tends to be pretty bitter, but once cooked, the flesh is tender and has a complex flavor. Because the flesh is so spongy and porous, it tends to absorb a lot of liquid - olive oil, sauces, yogurt, you name it - making for sauce-soaked deliciosity! On a side note, all of these recipes an easily be gluten free and nearly all are vegetarian! Naturally hearty, eggplant makes for a satisfying vegetarian entree. Eggplant Parmigiana In my mind, the quintessential eggplant recipe! Slices of eggplant are fried, then layered like lasagna with tomato sauce, cheese and spices and baked until amazing. What are you waiting for? Vying for position as the mother-of-all-eggplant-recipes, moussaka is a traditional Greek dish featuring ground meat, eggplant, potatoes and a creamy bechamel sauce. The third piece in the Perfect Eggplant Trifecta, Baba Ghanoush (or Ghanouj) is a traditional Middle Eastern snack/appetizer made with tahini and roasted eggplant - like hummus, but full of roasty-smoky goodness. Featuring traditional Middle Eastern flavors, you can use a big purple eggplant (aubergine) - or 8 adorable (and tasty!) "baby" eggplants. Totally vegetarian, this delicious roasted eggplant dip comes from France, after making a pitstop in David Lebovitz's kitchen. Sweet and spicy, this recipe will have you begging for more! You can almost feel the Mediterranean sun with this Greek-inspired dish. Definitely a different take on a traditional Italian dish, this recipe makes for a rich and creamy risotto that will have your guests asking for the recipe. Described as "simple + fast + fried = dangerous", these deep-fried treats are nothing short of addictive! Pasta al dente, gooey cheese, a rich tomato sauce and crunchy pine nutes - what's not to love? If lasagna and eggplant parmigiana got together and had a delicious lovechild, this would be it!